Purchase online or via check! 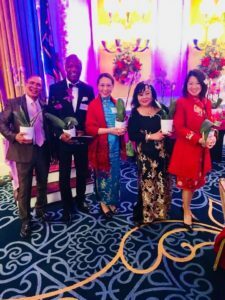 This is our annual fundraising event to benefit Virginia Asian Foundation – an IRS C3 Non Profit Charitable Virginia organization. Your donation is 100 percent tax deductible. The Gala is open to the public. Free courtesy parking is offered to all Gala guests. Pay by Mail: If you opt to pay by check, please send class payment early in order to reserve your seat. Payment by check must be received by Weds. November 27, 2019. Mailing address is: Virginia Asian Chamber of Commerce, PO Box 2640 Glen Allen, VA 23058.